Published May 16, 2014 at 2284 × 1827 in Behavioral awareness and change	~ Post a comment or leave a trackback: Trackback URL. Many thanks to Chez Worldwide for this superb monochrome image. License details: https://creativecommons.org/licenses/by-nc-nd/2.0 / No modifications made. That’s just… odd. My mind tells me that this is an image, not a person, and yet it’s also trying to persuade me that if I just sit there long enough looking into his eyes, I’ll be able to understand what he’s saying. It is pretty intense is it not? 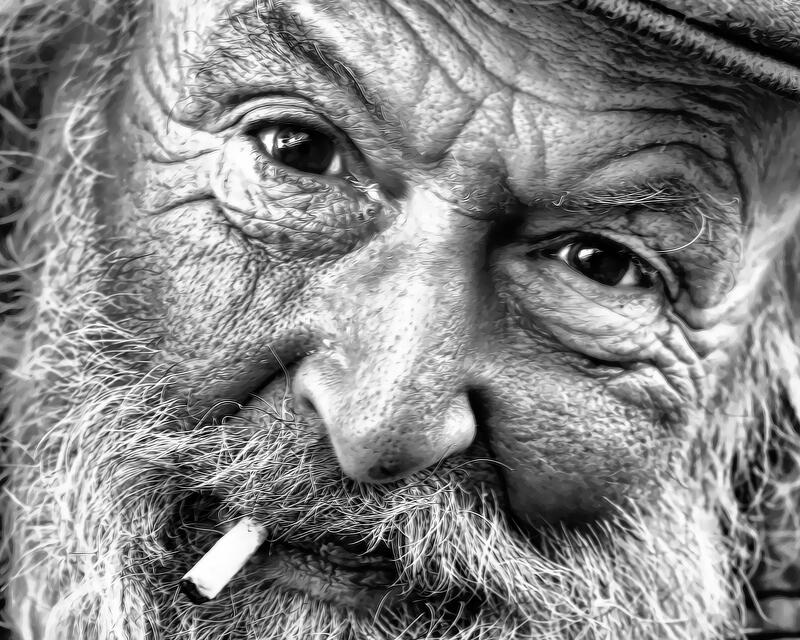 The gentleman concerned is a vagrant living on the streets of Manchester. I wonder Pendantry, what might he be thinking as he looks at you? You enjoy asking the hard questions, don’t you? Haha! Do you mean Chalmers’ Hard Question Pendantry, or is this another one? I’d not heard of Chalmers’ Hard Question before. Interesting, thanks for the information! Thank you for your delightful show of appreciation of this photograph; I am grateful for your interest in my site.